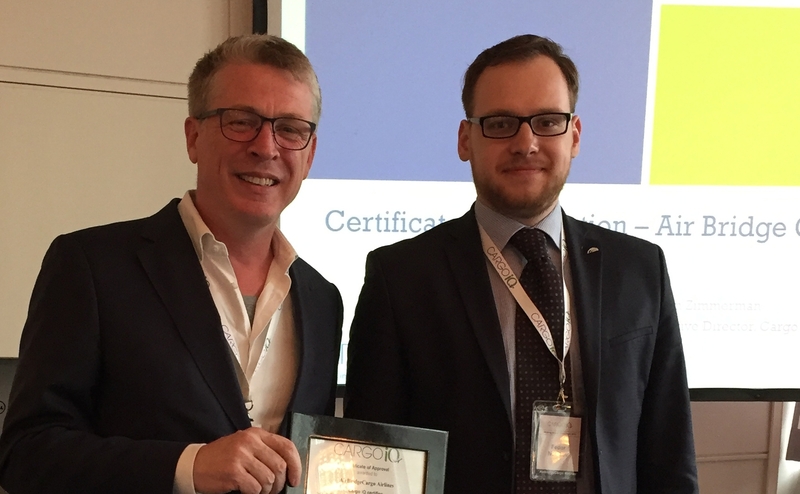 AirBridgeCargo Airlines (ABC) has been issued with a Cargo iQ certificate after it successfully passed the audit procedures for compliance with the International Air Transport Association’s Cargo iQ quality standards. The document was presented during a session of the Cargo iQ Technical Group in Essen, Germany this week. Following a two-day inspection, ABC’s quality certificate is valid for two year and acknowledges the airline’s conformance to the highest global quality requirements. The audit process reviewed AirBridgeCargo’s quality management programme, data analysis, customer service and interaction with suppliers. “Quality has always been the core for AirBridgeCargo’s business and now with our Cargo iQ membership and certificate we have a baseline to rely on to support our further “Delivered as Promised” enhancement by following the solid initiatives Cargo iQ has successfully developed throughout these years. Adopting a philosophy based on service quality has enabled us to constantly improve our performance for our customers and helped to secure ABC’s place among the top airlines in terms of on-time performance. Compliance with Cargo iQ’s quality programme demonstrates to our customers that we are committed to providing a consistently high level of service that is measured in accordance with the industry standard. We do hope that Cargo iQ’s strategic transformation will be acknowledged and adopted by major players in the supply chain as its mission aligns with the most important criterion for the whole cargo industry; providing a client with the level of service, he expects, or better, ” said Denis Ilin, Executive President of AirBridgeCargo. In support of its commitment to constantly improve its quality of service, in September 2015 AirBridgeCargo moved from Test to Implementation Status for Cargo iQ reporting. According to the independent Cargo iQ report last year, AirBridgeCargo is in the top 5 industry leaders for this quality indicator, an achievement that has already earned the airline positive feedback from its customers. AirBridgeCargo Airlines has been an Associate Member of Cargo iQ, formerly Cargo 2000, since 2007. In 2011, ABC formed a partnership with TRAXON CDMP to compare planned and actual performance for its Freight Status Update messaging and to identify areas for improvement. In addition, it records the causes of any service discrepancies, enabling the airline to address problems and initiate improvement processes. Ultimately, in cooperation with partners across the process chain, ABC has been able to reduce errors and dwell times on the ground.